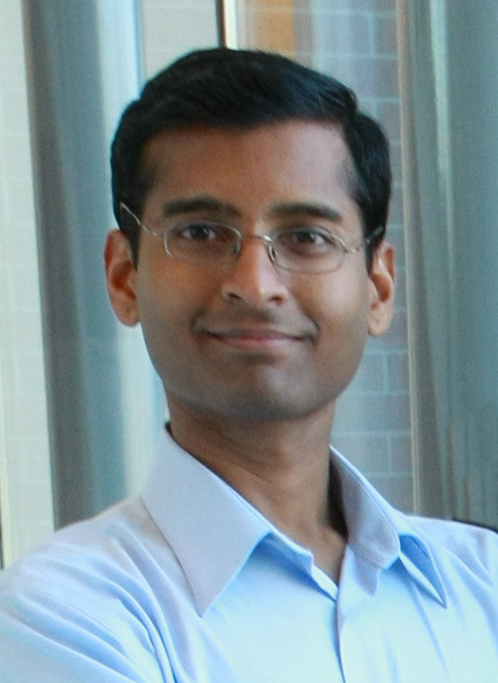 Sriram Krishnamoorthy, a research scientist and System Software and Applications Team Leader in PNNL’s High Performance Computing group (Advanced Computing, Mathematics, and Data Division), was part of the research team honored with the 2014 Best Student Paper Award during this year’s IEEE Cluster 2014. The conference awards were announced on September 24, 2014. Krishnamoorthy was a co-author of the paper, “Scalable Replay with Partial-Order Dependencies for Message-Logging Fault Tolerance,” which featured contributions from Jonathan Lifflander (primary author), Harshitha Menon, Phil Miller, and Laxmikant V. Kalé (University of Illinois at Urbana-Champaign) and Esteban Meneses (University of Pittsburgh). The paper addressed the need for distributed algorithms to meet the evolving demands of large-scale applications and limit the failures that impede system performance. Their work examined and presented a novel algebraic framework that improved on an existing scalable message-logging fault tolerance scheme, as well as reduced the complexity of distributed algorithms that rely on ordering (order that messages are sent and received in message passing programs) and interleaving. IEEE Cluster 2014 is an annual forum that addresses areas of cluster system design, management, and monitoring at the hardware, system, middleware, and application levels. The primary focus for this year’s conference was cluster computing for Big Data. IEEE Cluster 2014 was held on September 22-26 in Madrid. Lifflander J, E Meneses, H Menon, P Miller, S Krishnamoorthy, and LV Kale. 2014. “Scalable replay with partial-order dependencies for message-logging fault tolerance.” In Proceedings of the 2014 IEEE International Conference on Cluster Computing (CLUSTER), pp. 19-28. September 22-26, 2014, Madrid, Spain. Institute of Electrical and Electronics Engineers, Piscataway, New Jersey. DOI: 10.1109/CLUSTER.2014.6968739.